Have you been daydreaming about owning your own home, especially with the popularity of all the home shows on HGTV? When the time comes to actually put your money where your daydream budget is, it can be a bit of a let down for home buyers once they start getting bids for the wanted (dream) renovations and updates. In order to avoid this scenario, first time home buyers will need to think carefully and weigh all of their options when it comes to wants/needs. 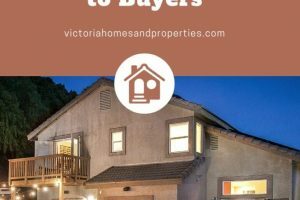 After considering all of these wants and needs and following this first time home buyers guide you will be prepared to choose the best home for your family. First, you need a home that fits in your budget. It makes no sense to search for single family 4 bedroom homes with big yards if your budget only affords you a townhouse or condo in your market. 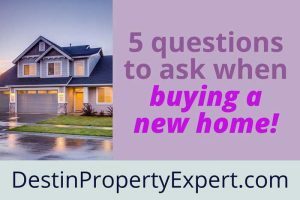 I believe it’s best to sit down early with a lender to get a really good idea about the entire lending process, costs involved and develop a timeline and plan for getting pre-approved for a home loan. This step can be an eye opener for some and very important to educate yourself so you’re not surprised at the closing table about certain fees the lender may charge, down payment needed etc. There are mortgage calculators and other tools online that can be useful, but I wouldn’t rely solely on these as they are only an estimate and don’t typically take your personal circumstances into consideration. You know the size of your household and if you have plans of it growing in the future. You also know the minimum space needed by your current household’s configuration. You may work from home and need an office space at home (need). You may commute daily to an office but on rare occasions work from home so you may like (want) an office space. Figure out the minimum amount of bedrooms and bathrooms along with square footage needed. Do you need a yard for your dog or children to play in? Once you have the basics (needs) figured out, it’s then time to start thinking about the bonus (wants) features you’d like in a home. Maybe you want a garage or a fenced in yard for the dogs or possibly a deck that includes that indoor/outdoor living space. Does the home have AC, if not, is it needed in your area. You should always consider the school district even if you don’t have kids because there’s a good chance when you go to sell the home in the future, the next buyer may have children. While not important to you now, it could be important to you and or a buyer in the future. Some of these bonus features might be “wants” and you might decide that some are absolute “needs”. Your realtor should have plenty of contacts for contractors that can help you with any modifications needed to turn those “wants” into reality once you move in. Savvy first time home buyers will think beyond the school district when choosing a home. How close is your home to major highways in the area (and is that a good thing or a bad thing)? How close are you to work? Is shopping close by or not? Are there parks or recreation centers close by? Where are the best grocery stores? You will be buying a neighborhood just as much as you will be buying a home. The home can always be changed. The neighborhood and location of the home cannot be changed so easily. Make sure you are fully aware of what the area where you are hoping to buy is like, both positive and negative, and understand how that’s going to affect your life while you’re in the home and any buyers who may come after you. Don’t make the mistake of falling in love with a certain feature the home may have (chef’s kitchen) and ignore some of your “must haves” in a home (bedrooms/bathroom count) You may have buyers remorse right after you move in when you realize the home does not fit your needs. It’s best to look beyond your wants (amenities, designer features etc) in the home and focus on the needs (layout, structure,bedroom, bathroom etc). Your real estate agent can help you decide if that home that is needing updates is really your dream home in disguise. 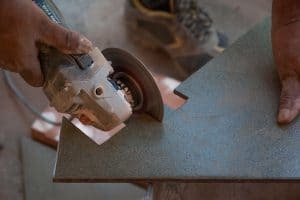 It’s pretty easy to rip out carpets and replace with hardwoods or change paint colors when your budget allows down the road. You cant change the main footprint of the home, where the home is located (backs to busy street) or the neighborhood the home is located in. These items are far more important when it comes time for your final decision on purchasing a home. Which home do you choose? The fixer upper needing updates or the more modern newer home that requires little or no updating? This decision will come down to your budget for doing the updates and your connections with contractors to perform the needed work as well. This is when your realtor will really shine! Realtors work with contractor vendors every day and have a wealth of knowledge when it comes to updating/repairing homes and the costs involved. Now that you know how to choose the perfect property, it’s time to get that pre-approval completed with your preferred lender and start on that path to homeownership! 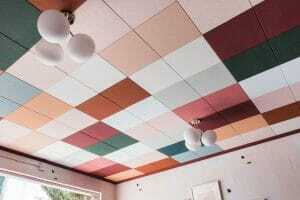 Should You DIY Your Tiles?